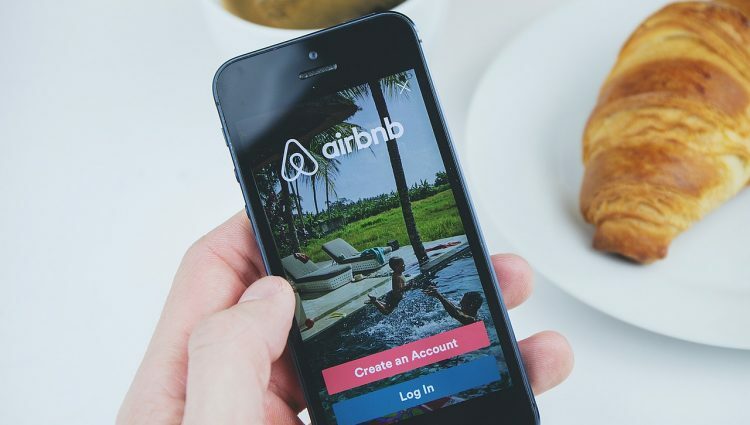 Uber and Airbnb have gained popularity in the last years, and rightfully so. Through some clever marketing strategies, they arrived at the top. They demolished traditional companies, leaving them to wonder how this is even possible. You know, I thought these companies, especially Airbnb, are really good at data science. They spend a lot of time and money to achieve their success and to gain prominent case studies. Such data science analysis case studies show the importance of computer science and engineering nowadays. And I am sure, that every business should do the same, and the future is not possible without great business model, and without science and technology researches. If you want to follow the example of these successful companies, you need to know the differences between them. Moreover, are they really the perfect modern business models? Let’s find out. Technology has given us many benefits. Not only you can easily promote your business through social media, but you can also order a taxi through an app. This is basically what Uber is. It’s a pocket-friendly taxi service that includes hiring a private driver to take you to your destination. All you have to do is create an account, then install the app on your smartphone. You log in, and then you choose the preferred payment method. And so, whenever you need a ride, you can simply open the app and request a car. The drivers come with their personal cars and they are their own bosses. Moreover, the service is safe. You get to rate the driver and the driver gets to rate you as a passenger. Airbnb is a company that helps travelers. Basically, it lets people rent short-term accommodations like hotel rooms, hostel beds, apartments, and many others. You can also spare certain rooms for guests. The company is so liked because people get to find accommodation or other locations at a fairly low price compared to how they would usually find them. You can register on the website and use the mobile apps. Before you book anything, you must provide some personal data like name, phone number, photo, and email address. Not only you don’t spend a lot of money, but you also meet someone from the destination who actually knows the place and can recommend you things to do and visit. How Are They So Popular? Basically, Uber doesn’t own any car, and Airbnb doesn’t own any accommodation. Despite these things, they were able to come on top and destroy the traditional companies. How were they able to do that? These companies rely on what is known as a “sharing economy”. Sharing economy is a system in which private individuals share services through online transactions. This term is not something new, though. Companies such as Craiglist and eBay were the ones who relied on it and made it grow. Airbnb and Uber, on the other hand, have taken it to a whole new level. They were clever enough to turn their businesses into better options. For instance, Uber lets people turn their cars into their working place and source of profit. Consequently, the car doesn’t only exist to empty their wallet. Besides personal use, it’s also used to make cash. Airbnb was born when its CEO has the idea to help people pay rent. Although it started abruptly, it now has a lot of success. When you think about it at first, they don’t sound like the best alternatives: you are either going to a stranger’s house or riding in a stranger’s car. You suddenly remember all of the things your mother used to tell you when you were a little. Still, people are more willing to take risks now because of the many benefits. Thus, the companies have become big. They also opened the door for many other alternatives. Are They the Perfect Business Models? If you think about it, things are not going to end here. Now that vacation rentals and taxis come with all these benefits, things will evolve. So, it will expand and create more businesses that rely on the share economy strategy. More opportunities will exist when it comes to employment – more people will be able to work full-time hours in addition to their usual jobs. Also, companies won’t compete with others who share the same products. They will rather compete with the consumers that would rent the product for a smaller part of the price. Therefore, the future seems bright if you decide to open a business based on the sharing economy strategy. The marketplace efficiency and consolidation will increase. So, Airbnb and Uber are the perfect business models. They were able to show the world that their strategies could be more efficient compared to those of traditional companies. People keep taking more advantage of companies such as Uber and Airbnb, and they can’t be blamed. They come with tons of benefits for fairly cheaper costs. Moreover, they have proven to be more successful than the usual companies. Things are going to improve in the future, as Airbnb and Uber have shown that the sharing economy strategy is so effective. Hence why they are the perfect modern business models.